Azerbaijan and the whole world community on May 15 mark the International Day of Families, an annual holiday highlighting the importance of families with a wide range of events organized at local, national and international levels. The International Day of Families was proclaimed by the United Nations General Assembly with a resolution in 1993. 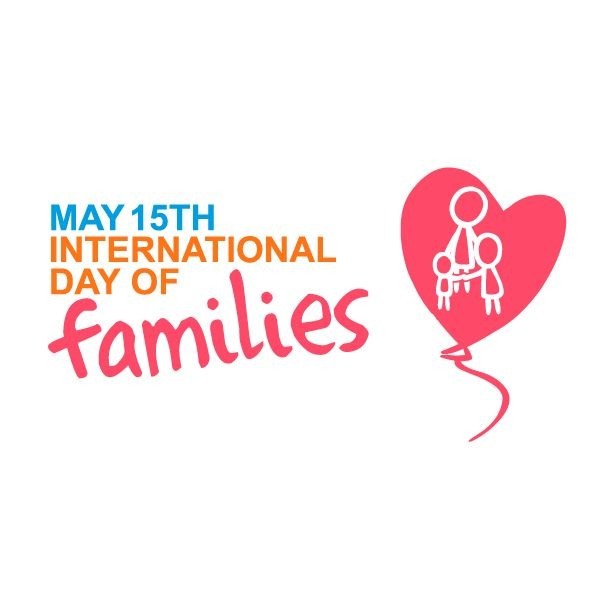 The Day reflects the importance the international community attaches to families, provides an opportunity to promote awareness of issues relating to families and to increase knowledge of the social, economic and demographic processes affecting families. The Day's 2013 theme is advancing social integration and intergenerational solidarity. UN Secretary General Ban Ki-moon's message this year delivered on this occasion says that families hold societies together, and intergenerational relationships extend this legacy over time. "This year's International Day of Families is an occasion to celebrate connections among all members of the constellation that makes up a family. It is also an opportunity to reflect on how they are affected by social and economic trends - and what we can do to strengthen families in response," the message says. Ban Ki-moon called on governments, civil society, families and individuals to support initiatives that bring people together across generations toward building a healthier world for all. Large-scale activities in the frame of the Day are held around the world including workshops, exhibitions and discussions to increase public awareness of the annual theme, along with educational sessions for children and young people, and campaigns for public policies to strengthen and support family units. Azerbaijan's State Committee for Family, Women and Children Affairs annually prepares an action plan of activities across the country in connection with this date. From May 1 to May 15 this year, the Azerbaijani capital Baku and regions hosted events on the occasion. A relevant action plan concludes with holding Family Holiday dedicated to the 90th anniversary of National Leader Heydar Aliyev in Sheki, 305 kilometers northwest from Baku, on May 15. All the Azerbaijani regions hosted contests to select the winning families in such nominations as National Cuisine, Skilful Hands, and Our Talents. The wedding of a young family and a "diamond wedding" are part of the activities. These activities are slated to protect national values, properly nurture the new generation and encourage a healthy lifestyle. Recently, the State Committee also organized a guided tour to the Gala State Historical and Ethnographic Museum on May 3 for the students of a special boarding school for deaf children in connection with the family day. Accompanied by representatives of the Committee and teachers of boarding school No. 20, the students were acquainted with exhibits of the museum. The information obtained from the tour guide was translated for students into sign language by the teachers. The trip was met with great interest by the children. Azerbaijan is known worldwide for the richness of its traditions and customs, which are observed and respected by every family. As an eastern country, Azerbaijan has very strong family traditions. Family tradition accompanies Azerbaijanis throughout their lifetime -- from childbirth to funeral ceremonies, has many varieties and concerns nearly all aspects of life. An Azerbaijani family is generally a steadfast social unit with strong sibling connections. Marriage is one of the happiest days in the lives of young Azerbaijanis, which also boasts a long and abundant tradition. According to the State Statistics Committee, some 79,300 marriages were registered in Azerbaijan in 2012. In 2011, the number of marriages was over 89,000. Eternal love for children and respect for the elderly keep Azerbaijani families stable and strong. However, recently the number of divorces has increased. The number of divorces reported in 2012 was 11,000 -- up from 10,700 in 2011 and 8,900 in 2010. According to the statistics, the number of divorces is rising due to the number of marriages. The numbers are not dramatic yet, but they show that even strong family traditions can be affected by changes in the social and economic life of the society. Financial issues, incompatibility of people's temper or outside interference are usually indicated as the reasons of divorces. Even some of the traditions may take a toll, as endless love for their children makes some parents badly influence their children's married life. For these and some other reasons, families, especially young ones, need special help, and the family day is definitely the right time to heed attention to this important issue. UN's Ban Ki-moon urges need to "invest in humanity"